We use the latest Broadlooms and Needlelooms for special labeling needs. We manufacture Supreme Damask, Damask, Satin, Taffeta-Panel, Taffeta and in High-Definition for the finest details of any design. The labels can be finished by the following styles to suit the appropriate garment. Woven label offered by us is widely used in garment industry for stitching on the sides of garments as the sign of authenticity. Our woven label is water resistant and has long-lasting finish. 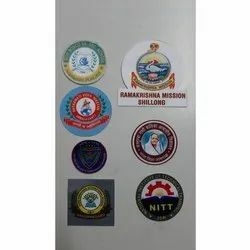 Due to our excellence and industry proficiency, we have carved a unique niche in the industry by bringing forth a precisely designed Colorful Woven Label. With the help of skilled and knowledgeable professionals, we are engaged in providing a superior range of Woven Labels.